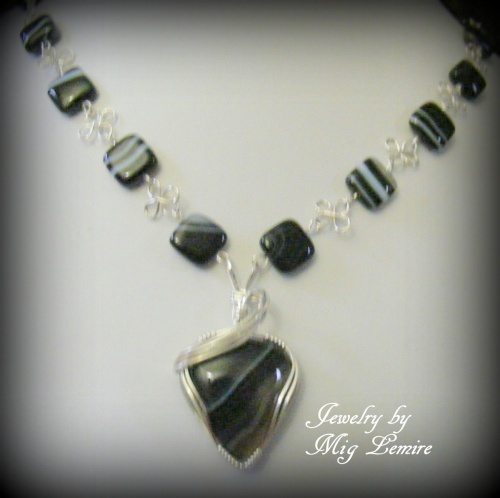 This pretty necklace is made of banded agate gemstones and accented with clover like sterling silver links. Focal is a pretty banded agate gemstone with bands of white and some brown running through it matching the beads. Focal is accented with a pretty yet simple sterling design. Comes with matching earrings. Piece measures 17" long.